The shelf segments join together, supporting each other as they lean in opposite directions. If you need a see-through room divider Endless performs that function from the get go. If you need a wall that closes off a space from sight and sound, just jam Endless full of books and objects from both sides. 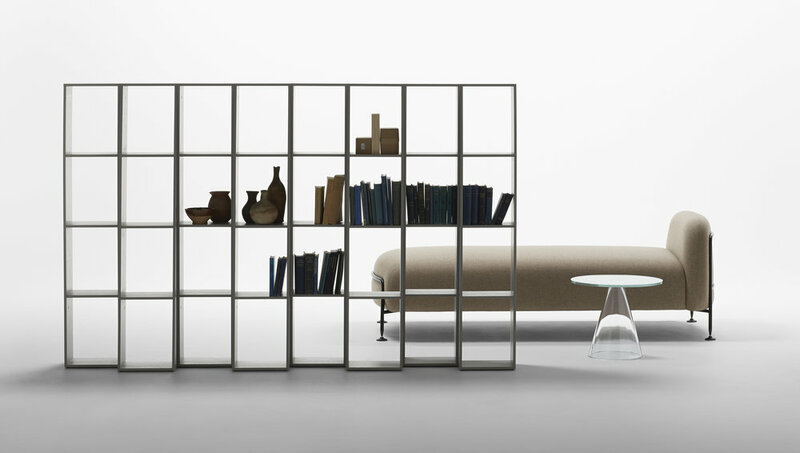 The shelves make a rhythmically billowing wall, creating new rooms within a room. Whether in a home or an office, it’s an intelligent way of adding storage, style and functionality.